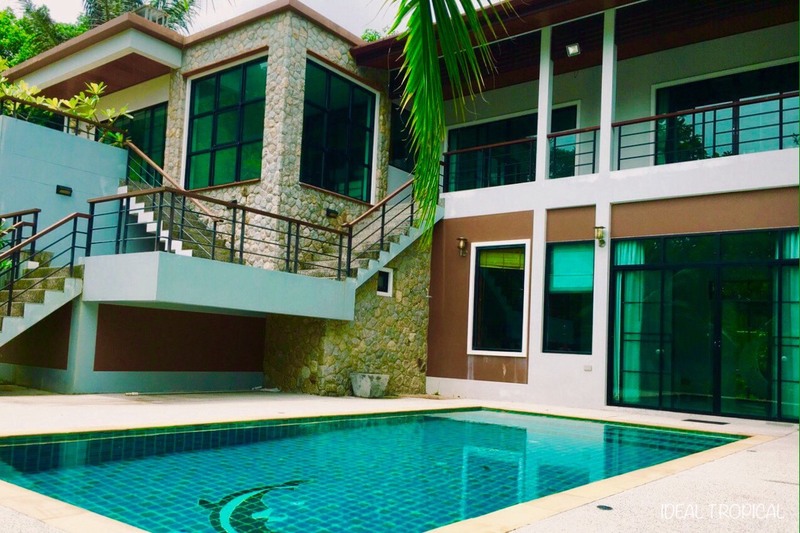 8 Bedroom Pool Villa in Kamala. 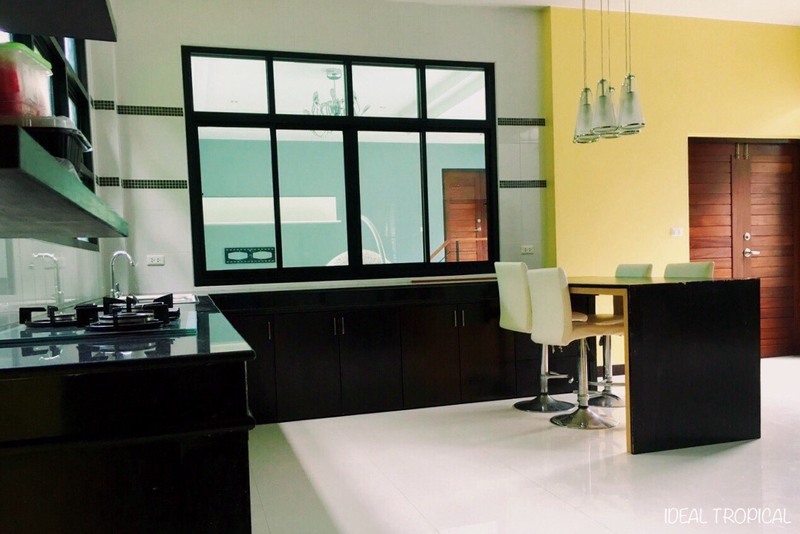 This large villa is “ideal” for a big family or as an investment property. 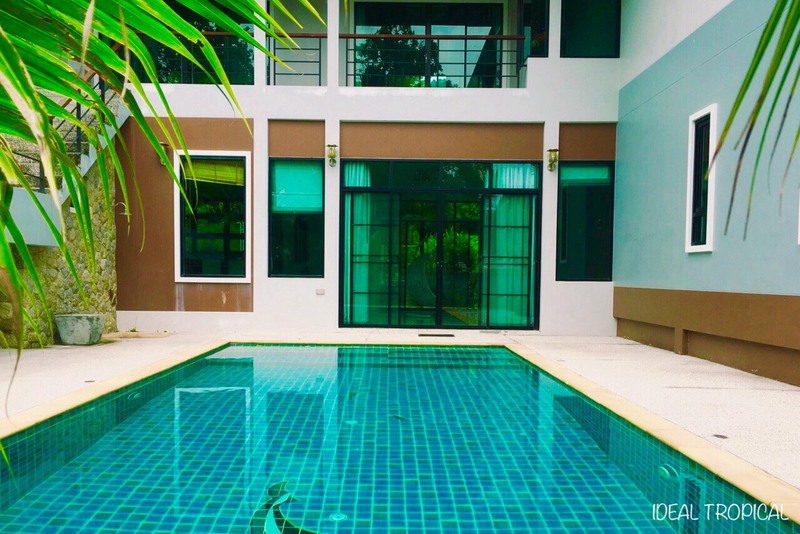 The main villa has 6 bedroom’s and is 2 stories with separate entrances to the upper part of the villa therefore the villa can be rented to 2 different clients and share the swimming pool. 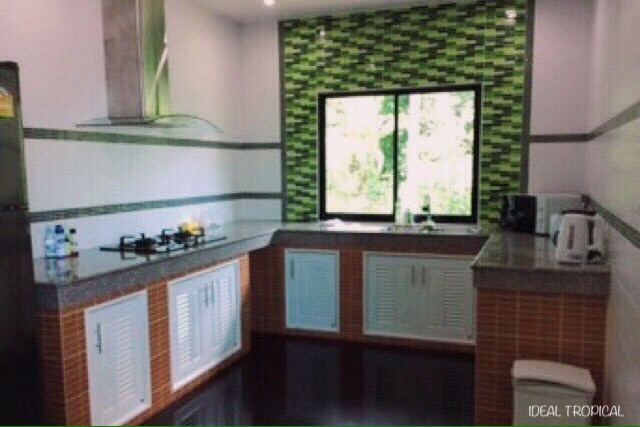 There are also 2 separate kitchens. 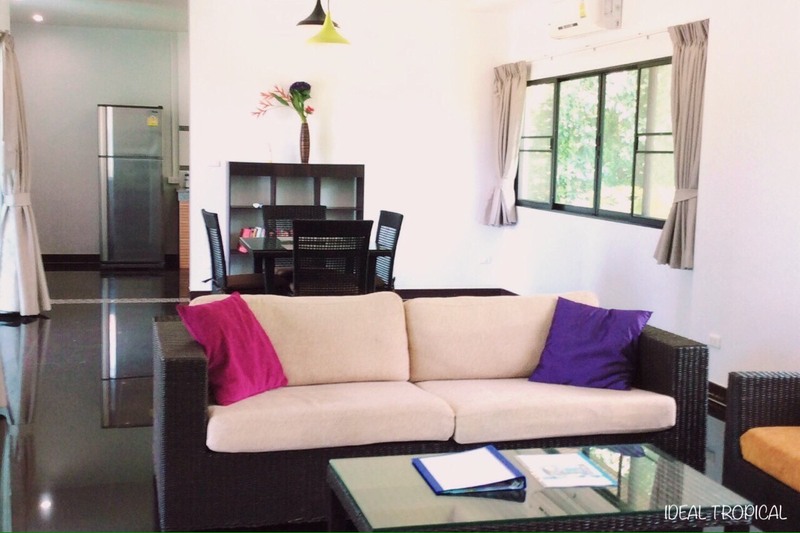 There are 2 garden pavilions which are self contained 1 bedroom apartments with kitchen, living room-TV lounge and bathroom with shower. 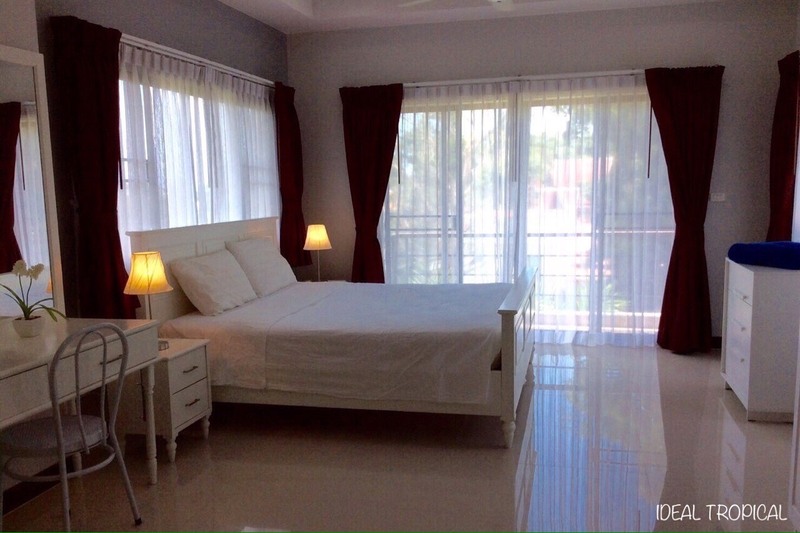 The property has a large manicured garden with mature plants and trees. 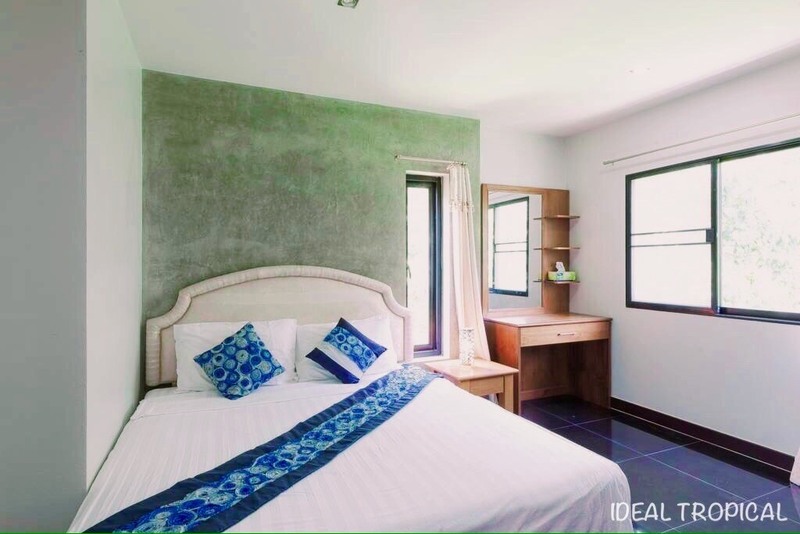 The villa is located 3km from the main road to Kamala Village so its in a wonderful quiet location with beautiful nature and mountain views. HQ Beach Club, 4 minutes drive to Kamala, is now open and serves delicious food and drinks “Beachfront”, wonderful location, management, staff and great vibes. Also, Bliss Beach Club is 10 minutes to Bangtao Beach “Beachfront” and equally as good. 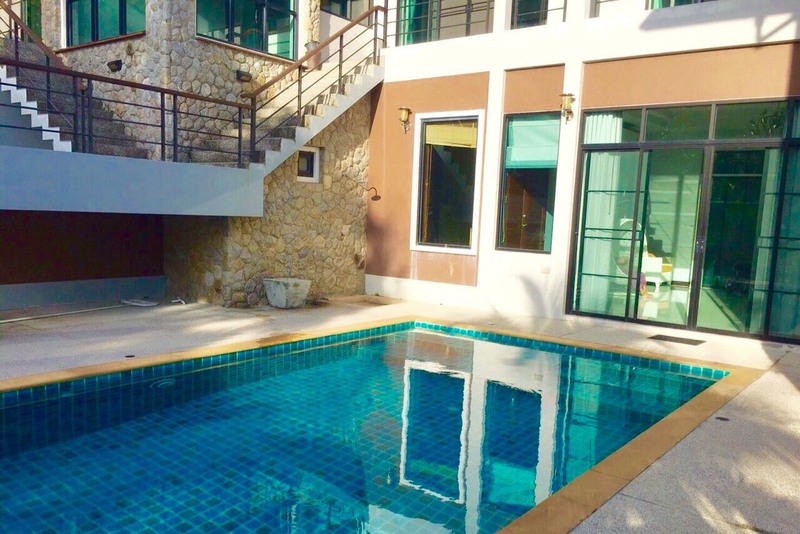 So a great choice for a great nights entertainment, atmosphere and wonderful people to mingle.
. 8 bedroom pool villa.
. Remote controlled security gate.
. 8 Bedrooms 8 bathrooms.
. 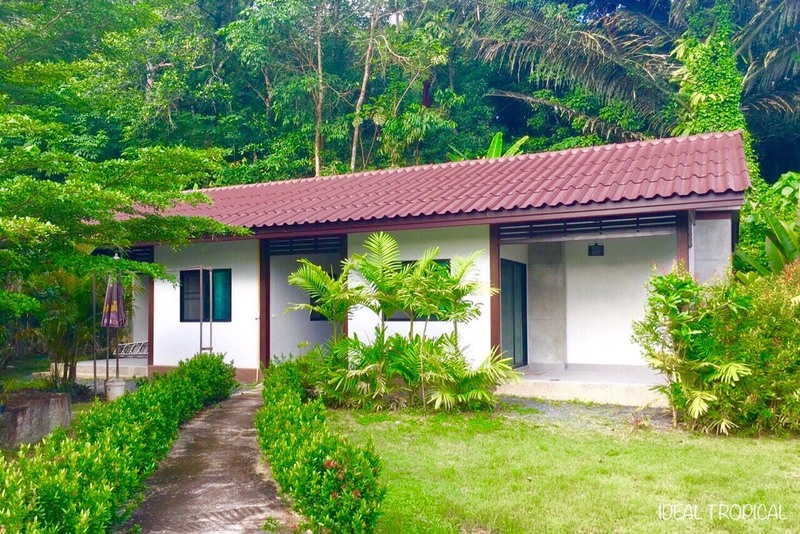 Surrounded by security high walls.
. Local shop and Thai food restaurant within walking distance.
. 4 minutes drive to Kamala village.
. 6 minutes to the beautiful sandy Kamala beach.
. Tesco and Big c supermarkets in Kamala.
. 2 x weekly market in Kamala.
. 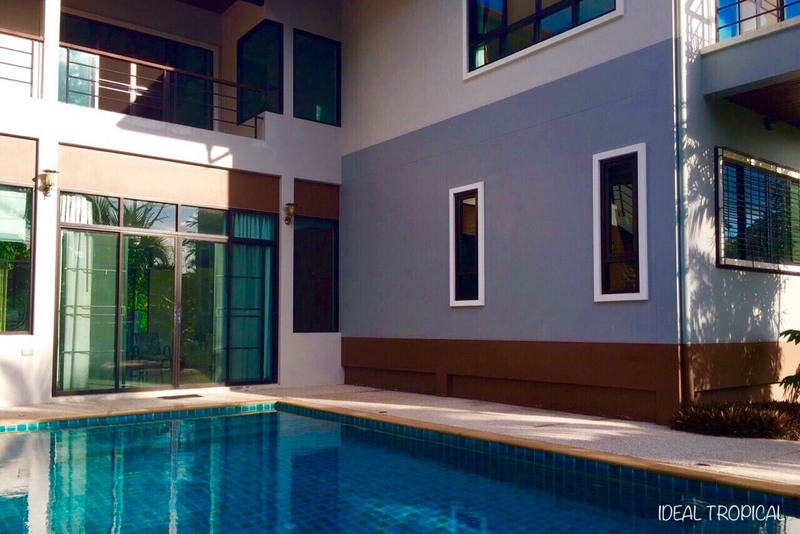 This villa is also available for long term rent 80,000Thb per month. 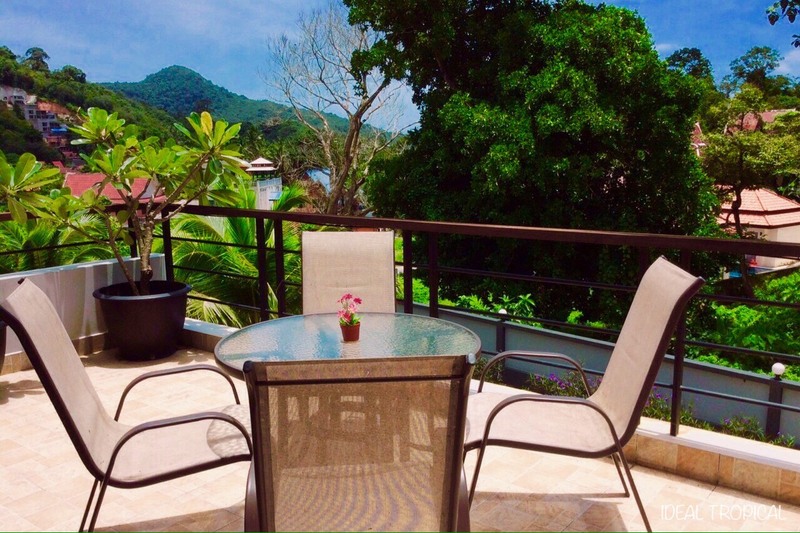 Why not try before you buy.
. Patong is 15 Minutes drive for a great night out.
. Kamala is 35 minutes drive to Phuket International Airport.
. International schools are within 30 minutes drive. 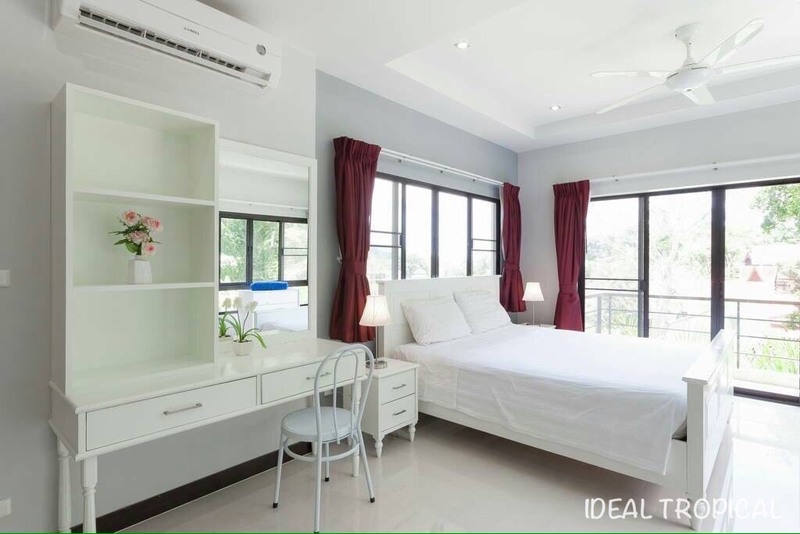 Viewings: ken@idealtropical.com OR call me +66868047407 OR +66925768968. 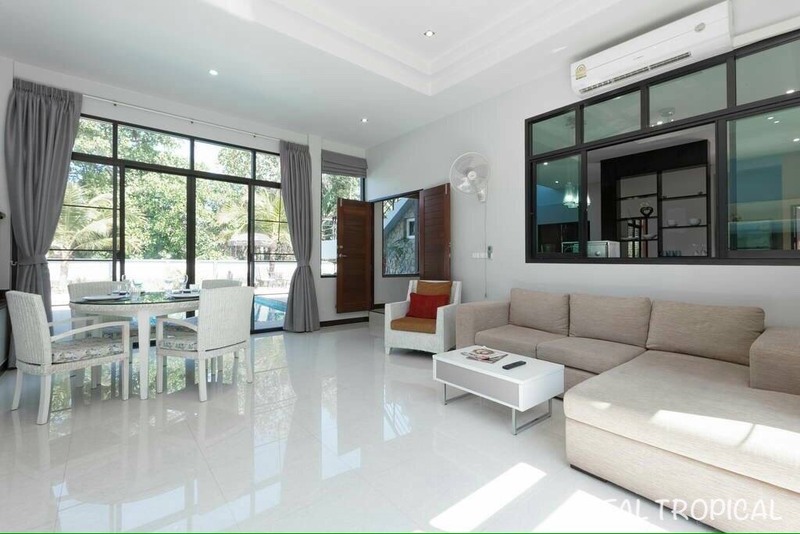 Distinctive 2-4 Bedroom Pool Villas.Free furniture Package. 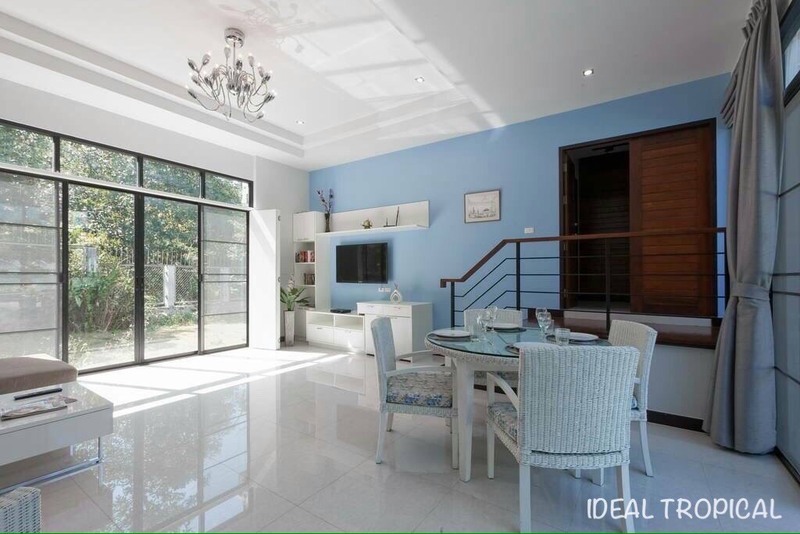 Exceptional 3 bedroom family home.